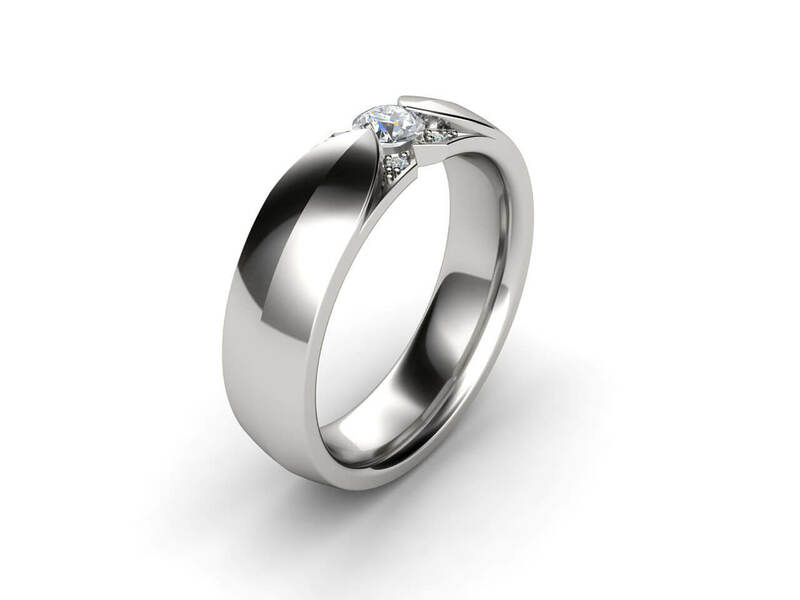 This Single Diamond Wedding Band is set with one brilliant cut diamond. It sets the tone for this stunning Man’s Engagement Ring. 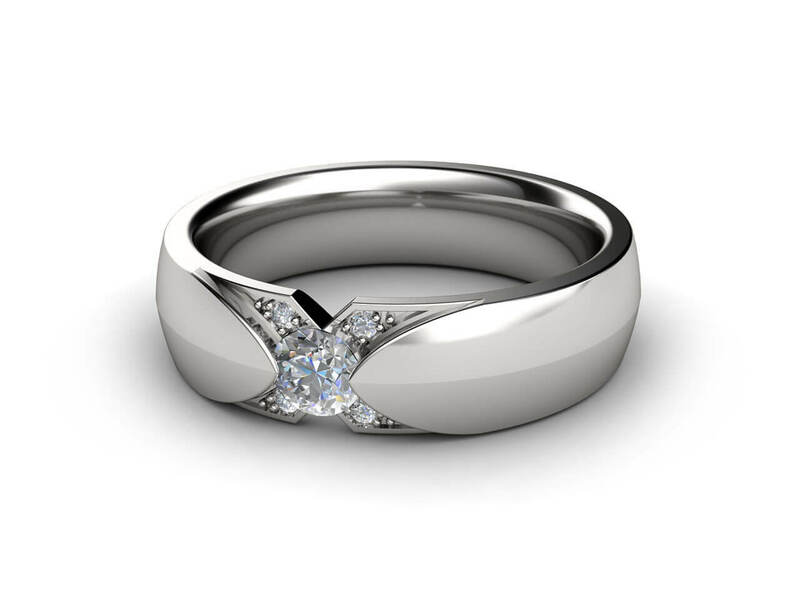 This ring can be made to order in18k white gold, yellow gold or platinum. 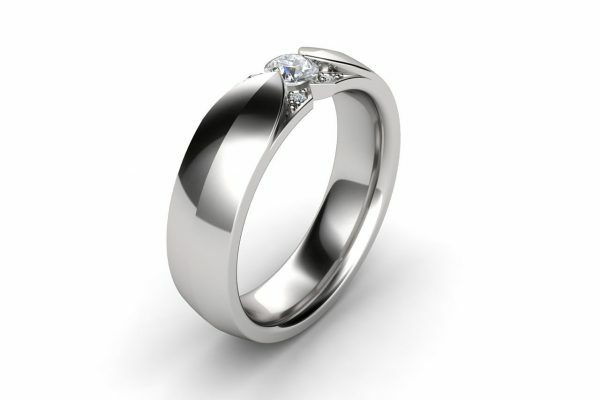 The centre diamond could be from 0.15ct to 0.50ct. It can also be made with a Black diamond or Sapphire or a Ruby or any other coloured stone. Call us for a quote. Weight side stones: 0.04ct aprox.